Given magical powers through a wish by a jinn, Henry Tsien was thrown into a hidden supernatural world. 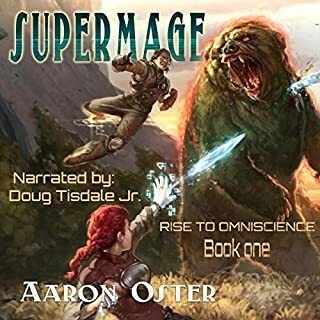 Forced to battle his own faulty, pop-culture-driven assumptions, as well as shadowy supernatural organizations while leveling up, Henry found an ally in Alexa Dumough, the Knights Templar initiate. Given the opportunity to make his dreams comes true, Henry Tsien decides to make a wish that will change his life forever. Now a newly created, low-leveled mage in a world that has hidden secrets and histories, he'll need to find a way to survive, level up, and pay his rent. 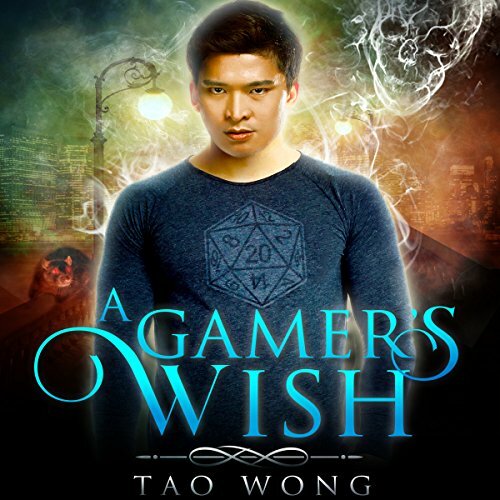 A Gamer's Wish is a GameLit novel with some gamelike elements. arts and culture are the things that elevate Society. authors that write characters that are forced to express their Humanity in a loving way are awesome thanks man reading this book. Patrick Zeller did a great job in narration of this as well. Pros: The story is intriguing and the world building is quite interesting. The game mechanics applied to the real world are different then normal as they only apply to him and they are more of a representation of his abilities rather then hard coded stats and facts; an interesting spin on things. I find the side characters interesting and the book is well written. I like the author. The main character is rather book smart, and has some clever ideas. cons: the main character can be careless and is rather weak. I dont just mean weak in power, hell get there eventually i get it, but I mean he cant make hard decisions or take proper precautions to defend himself. I know he has to pay the bills but his training is lack luster and not optimal. He is just an average guy who wants to live an average life, but wanted a little magic just cause he thought it was cool. Sure who doesn't, but when push comes to shove, he doesn't have the tenacity to make it in the real world. His actions feel rather juvenile/naive. Its painful to listen to at times. 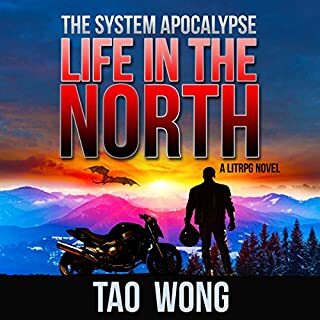 If you've read this authors other books, the main character is not like the system apocalypse. Not even close. However, its entertaining to listen to if you would like a light read. I got this book from the author, and I’m giving an honest review. He didn't ask for one, but I'm giving it. It's not perfect, but it's enjoyable, and I never felt like I needed to take a break from it. Not the type of Gamelit I usually read or listen to but good none the less. It's set up in an interesting way and has a decent amount of character building although not very much world building. The narrator did a fantastic job as well. 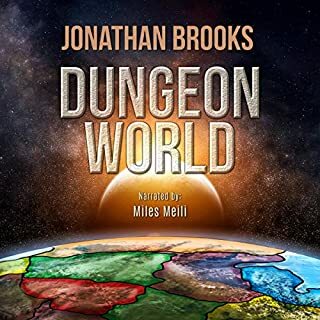 The audiobook is short and good for an overnight listen and getting introduced so some of the characters I look forward to finding out more about them in future books. I don't think I've read anything with a similar magic system before the closest I can think of being the one used in The Irregular at Magic High School though the main character is far from over powered and it's still clearly being developed. Overall Its got a lot of potential and I feel like it would be a good pitch for a tv series or an anime besides just being a book. If you want a different type of Gamelit that isn't flooded with stats and items and is just more magic and life focused give this a try. I find the character setup, and the feel of this story less gripping, and harder to sink into. Tao is an amazing author. I love the vivid images that he portrayed in this book. Also it follows an amazing concept/premise and a great story. 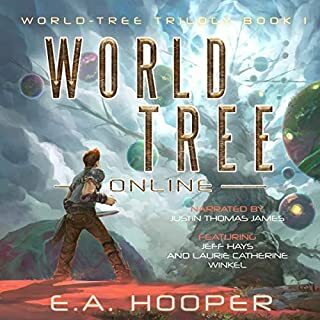 This is a nice book for those new to the Litrpg genre.